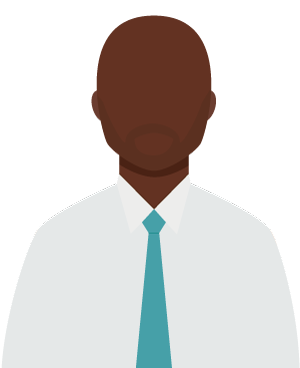 "I felt it was important to have the voice of an 'ordinary employee' around the trustee table…"
This is Douglas Bradford, he saw the importance of looking after both current and future pensioners and wanted to be a voice for both of them around the trustee table. For those who are considering becoming a trustee, Douglas provides a thoughtful and honest account of taking on and fulfilling the role. If you'd like to join the AMNT, please click below. Otherwise, please enjoy Douglas' story. I would say, I have been lucky enough to work in jobs where the organisations had a clear vision, which in the last century was called “the Mission Statement”. This allowed a message to cascade from the board to employees, basically saying that our individual drivers should also consider the ultimate beneficiaries of what we did day-to-day, and our role as caretakers for the future of our environment. In my own case, I always had in the back of my mind that it was partially for the benefit of pensioners, or those who would at some future date be pensioners (including me). This may sound evangelical, but the truth was it had to be tempered by the reality of the day job of helping the business remain successful and paying the bills. I have spent most of my employment working in Property Investment Management, either as part of a general Investment Management business, or in boutique organisations. "I felt it was important to have the voice of an 'ordinary employee' around the trustee table to interrogate what, how and why things were being done in running the Fund, for ordinary employed and deferred members, who did not feel able to speak up." When conversations arose about pensions, I was struck by how disengaged lots of colleagues felt towards the Defined Benefits scheme they were contributing to. There was an underlying feeling that somehow the pension was a burden on the employer, affecting the day-to-day running of the business, which might be affecting pay and profitability. Fewer people, than I would have expected, saw it as deferred pay. Many of my colleagues, and especially the junior ones, were not confident they had either the voice or knowledge to contribute meaningfully to the running of the pension fund. I think many of my colleagues viewed it as a solely employer responsibility. "I felt it was important to have the voice of an 'ordinary employee' around the trustee table to interrogate what, how and why things were being done in running the Fund, for ordinary employed and deferred members, who did not feel able to speak up…"
When conversations arose about pensions, I was struck by how disengaged lots of colleagues felt towards the Defined Benefits scheme they were contributing to. There was an underlying feeling that somehow the pension was a burden on the employer, affecting the day-to-day running of the business, which might be affecting pay and profitability. Fewer people than I would have expected saw it as deferred pay. "Like most new things it felt like being outside a closed circle of the existing trustees and advisers, all speaking a language full of acronyms I was struggling to grasp." On reflection, this was down to an existing board having been in place for some time and all having fallen into using the pensions world language which meant nothing to me, until I completed The Pension Regulator Introduction to Trustee course. There was a period when I seemed to spend most of my time asking, asking, and asking again until I had a good understanding of what was happening. A benchmark for me was asking myself “Could I explain this to an average member if asked?”. The worst thing I think a new trustee could do is not ask. 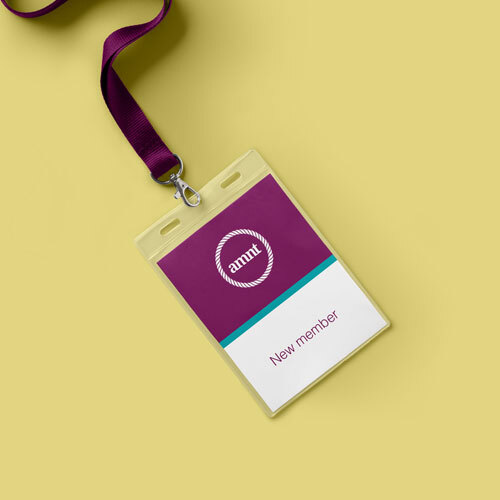 "Like most new things it felt like being outside a closed circle of the existing trustees and advisers, all speaking a language full of acronyms I was struggling to grasp…"
"For me the AMNT is providing a forum of other voices outside the circle of regular advisers. There is both debate, and training. I have been very impressed by the quality of events and the breadth of topics that are discussed." "For me the AMNT is providing a forum of other voices outside the circle of regular advisers. There is both debate, and training. I have been very impressed by the quality of events and the breadth of topics that are discussed"
"Compared to when I started, I am more confident in the role and feel happier both challenging and actively participating in the business of the trustee board…"
I feel the importance of having MNTs has increased over the last 3 years when I have been a trustee. During that time the media has made the public much more aware of the interaction of pension schemes with the financial viability outcomes of some large companies which have been in trouble. Companies like British Steel/Tata, BHS and latterly Carillon come to mind. Thousands of people are going to be affected long into the future, depending on the level of day-to-day oversight that is given by pension trustees. I believe the AMNT has a crucial role in helping lay members ensure this is done well. "Compared to when I started, I am more confident in the role and feel happier both challenging and actively participating in the business of the trustee board." Thousands of people are going to be affected long into the future, depending on the level of day-to-day oversight that is given by pension trustees. I believe the AMNT has a crucial role in helping members ensure this is done well. Lucas and Ray share their experience of becoming an effective Trustee and the impact that the AMNT had on their journey. AMNT members sit on the Boards of Pension Funds who manage billions of pounds of assets on behalf of Fund members. Our members cover a wide spectrum of pension provision including Defined Benefit, Defined Contribution and Hybrid schemes. This range of knowledge and experience is used to support existing and new member nominated trustees in a secure, confidential and friendly environment. The Association offers a variety of training events, in collaboration with our sponsors, from half day briefings on topics such as risk management to day-long conferences with keynote speakers and trustee focussed breakout groups. At these sessions you will be in the company of other member nominated trustees and able to share your experiences, dilemmas and challenges, as well as learning from pensions industry experts. In joining the Association you will become part of a unique organisation which gives you access to MNTs across the UK from a variety of pensions schemes and with a range of experiences of being a trustee. The Association holds regular conferences and other events at which you are encouraged to network with your fellow trustees and to discuss issues of common concern. All of our events are free to attend. In joining the Association you will become part of a unique organisation which gives you access to MNTs across the UK from a variety of pensions schemes and with a range of experiences of being a trustee. The Association holds regular conferences and other events at which you are encouraged to network with your fellow trustees and to discuss issues of common concern. The association welcomes member-nominated trustees, member-nominated directors and employees' pension representatives, in both the public and private sector. If you are a member nominee yourself you can get involved right now by joining, there is no cost to join and the process will only take a couple of minutes! Alternatively, download our welcome pack to explore the values, achievements and benefits of the AMNT further. If you are a member nominee yourself you can get involved right now by joining, there is no cost to join and the process will only take a couple of minutes! 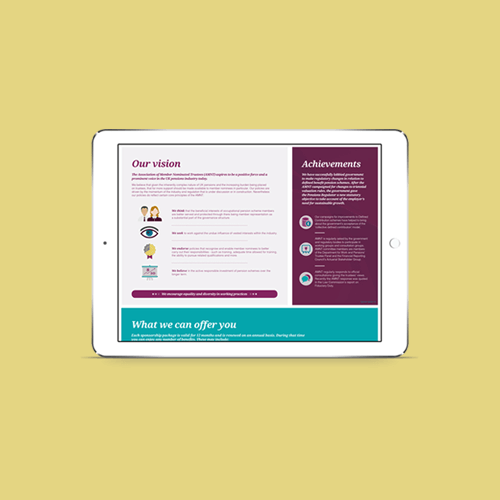 Alternatively, download our welcome pack to explore the values, achievements and benefits of the AMNT further.